By the time war between England and Germany had been declared on 4th August 1914, regiments and cities alike had begun preparing for the ensuing conflict. In Leeds, the local Territorial battalions on their annual camp at Scarborough were recalled to Carlton Barracks and embodied for active service. 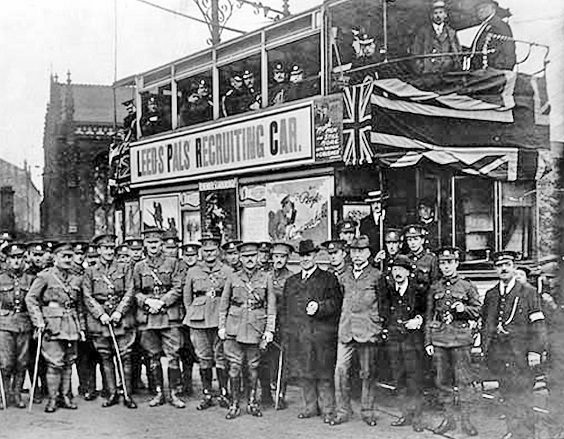 Volunteers were also invited to join Lord Kitchener’s army and potential servicemen responded swiftly to the call and hurried to recruitment centres, including one at Hanover Square, established to form a Leeds City Battalion. 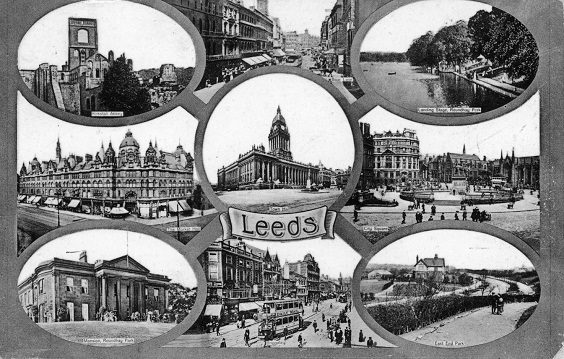 Led by the Lord Mayor, Edward Brotherton, Leeds soon formed its own ‘Pals Battalion’. It was officially named the 15th (Service) Battalion (Prince of Wales’ Own) West Yorkshire Regiment but locally known as the ‘1st City Battalion’ or the ‘Leeds Pals’. Leeds also formed a second battalion in December 1914, the 17th (Service) Battalion, known variously as the ‘2nd City Battalion’ or the ‘Bantams’. In December 1917 both battalions amalgamated to become the 15/17th (Service) Battalion which disbanded in early 1919. Some consider that only the 15th Battalion should have the title Leeds Pals but there is now a wider belief that all men who served in these three battalions should be known as ‘Leeds Pals’. Many cities formed one or two Pals battalions made up of people with similar skills and twin battalions, such as the Bradford Pals, served together in the same brigade. The Leeds battalions were different, particularly in composition and deployment. The City Battalion was formed predominately of middle class, professional men such as office workers, engineers, teachers and sportsmen, all of ‘normal’ height and well educated. However, it also recruited musicians and actors, forming its own band and concert party. They had several ‘boys’ who were under age and one, Horace Illes, at 16, was one of the youngest to be killed in action. The battalion had the only Indian soldier to serve with the Leeds Pals, Jogendra Sen. On the other hand, the Bantams were made up of ‘small’ men, below 5’ 3” in height, and were predominantly from manual trades such as farmers and factory workers. They tended to be less well educated but turned out to be equally brave soldiers; it should be remembered that the two Leeds Pals who received Victoria Crosses were Bantams. The City Battalion spent a long time at Colsterdale and Ripon before reaching the Western Front some 18 months later, via a 3-month spell of duty in Egypt defending the Suez Canal, while some men of the Bantams had only a few months training at Ilkley and Skipton before going to the Western Front in mid-1915; the battalion as a whole reaching France in February 1916, a month before the City Battalion arrived from Egypt. Training was tough with route marches, physical training, Swedish drill, field craft, weapons training and bayonet fighting. Good discipline was important although treatment of offenders is considered harsh by today’s standards but was the bedrock of military ethos at the time. Soldiers would be punished for minor offences of absence and drunkenness and for more serious crimes such as murder, mutiny and cowardice they could receive a prison sentence or be executed by firing squad. 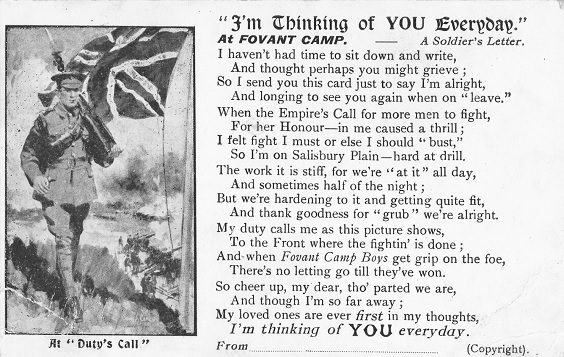 The harsh realities of conflict were brought home to soldiers when the battalions deployed to the front. The City Battalion suffered its first operational casualty in Egypt when Edward Wintle was accidently shot by his friend Joe Prince. The first Bantam to die at the front was William Cotton who was killed by machinegun fire on his first day in the trenches, although Yorkshire runner George Colcroft (15th) and Ernest Roscoe, an officer, (17th) died while undergoing training in England. These deaths however did not prepare the Leeds Pals for the mass slaughter they were later to witness on the Western Front. 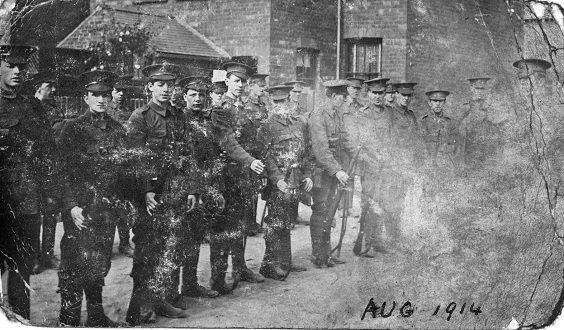 The City Battalion remained an integral unit and lived, trained and fought together while the Bantams, generally, were sent in small detachments to support other units or as work parties rebuilding trenches, although they had their share of fighting. As a result, the 15th Battalion were virtually wiped out on 1st July 1916 when they went into battle at Serre on the Somme and again when they fought at Arras in early May 1917. The amalgamated battalion, the 15/17th, suffered a similar fate during the spring offensive of March 1918. The 17th Battalion also suffered significant casualties, although in smaller numbers over a period of time. Every soldier on the front line experienced the horrors of heavy shelling, sniping, machinegun fire and the cold, wet, muddy and rat infested conditions. Few soldiers were captured in the early stages of the war but from mid-1917 many Leeds Pals became prisoners of war. Life in captivity provided different challenges for the men, with a basic diet and difficult living conditions. Several died from their wounds or from illness during their incarceration. When war ended thousands of men were demobilised. They resented the fact that their jobs had been filled by women and not all women were happy with being returned to their more traditional domestic roles. Ex-soldiers found it difficult to settle at home which created challenges for their families. Providing comradeship and work for discharged soldiers, particularly injured servicemen, was a priority and the Leeds Pals formed an Association which lasted until the mid-1950s. It provided financial, practical and social support to veterans. The Trades Union also set up a scheme to find work and to train the men for employment but it took many years for the mental and physical scars to heal, some never recovered. The Leeds Pals Handbook is a companion to other publications on the several thousand men (see alphabetical list) who served not only in the 15th Battalion but also those who served in the 17th and 15/17th Battalions who deserve to be called ‘Leeds Pals’. They were the Leeds battalions.